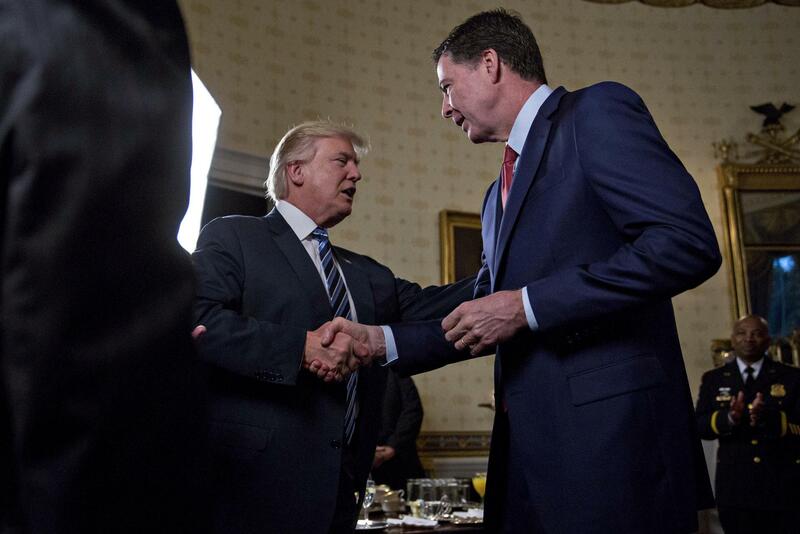 President Donald Trump on Tuesday fired FBI director James Comey, ousting the man heading a wide-ranging investigation into whether his aides colluded with Russia to sway last year’s US election. In a shock move that drew comparisons to the Watergate scandal that brought down Richard Nixon, Trump told Comey the FBI needed new leadership and he was being “terminated” with immediate effect. Under Comey’s leadership, the FBI concluded that President Vladimir Putin approved a wide-ranging campaign to tilt the vote in Trump’s favor. His snap dismissal, ostensibly for mishandling a probe into Hillary Clinton’s emails, sparked rare criticism from Republicans and allegations of a cover-up from seething Democrats who demanded an independent inquiry. The high-stakes gambit also raised immediate comparisons to the ill-fated firings that sped the collapse of Nixon’s presidency. Trump’s decision to fire the FBI director is virtually unprecedented, only one director has previously been fired in the bureau’s century-long history. Trump also used the letter to try to distance himself from the ever- deepening scandal over Russia’s involvement in the election. “I greatly appreciate you informing me, on three separate occasions, that I am not under investigation,” Trump wrote. The White House said the search for a new FBI director was to begin right away. FBI directors are appointed for a single 10-year term. The 56-year-old Comey, who is popular among rank-and-file agents, was appointed four years ago. “This does not seem a coincidence,” he said. Republicans, many of whom have fallen into line behind Trump after initial reluctance, also sought to distance themselves from the president. “I am troubled by the timing and reasoning of Director Comey’s termination,” said Senator Richard Burr. Comey played an outsized and controversial role on the American political stage over the past year, lobbing one bombshell after another that rankled both parties in Washington. The stated reason for his dismissal according to a memo from Deputy Attorney General Rod Rosenstein was for mishandling the probe into Clinton’s emails, which the Democrat blames for trashing her chances of becoming president. Comey told lawmakers last week he felt “mildly nauseous” at the thought that he had swayed the election but could not have acted any other way.